for 3D Ready Projectors or DLP Projectors. A unique 3D software kit that can play any high tech form of 3D including Field Sequential, Sensio, Side by Side and even dual HD stream input files to create the highest quality 3D possible. & Your choice of 7 Amazing 3D DVDs! 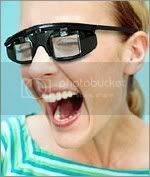 Click here to see our Complete Collection of 3D Movies. This collection comes with a full instruction manual and tech support. Easily create an amazing 3D theater in the comfort of your own home. This amazing combination of 3D software and hardware allows you to input any 3D signal and output directly to advanced 3D displays such as “3D Ready Projectors” or DLP Projectors. 3D Ready Projectors are currently being manufactured by many different companies such as Viewsonic, Acer or Depth-Q. This advanced collection of 3D Hardware and software works with any Windows based PC and there are no minimum requirements however we do have custom PCs already built and ready to ship that have been optimized for 3D Processing 3D Professional Computer.